Transposing data set is also a common data manipulation task. 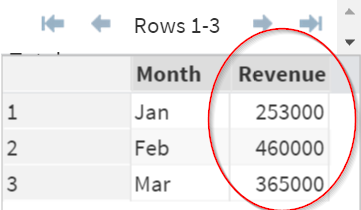 The REV data set contains the monthly revenue in the first quarter of 2014. The revenue information is currently stored under 1 variable: Revenue. 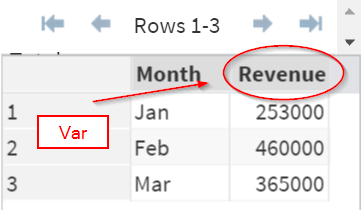 Let's take a look at how you can transpose the Revenue variable into 3 different columns. 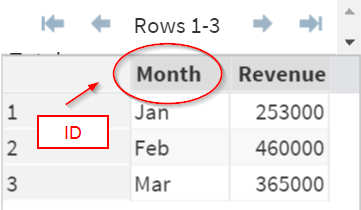 ​The monthly revenue is split into three columns! The OUT option allows you to create a "transposed" data set. In our example, the transposed data set is T_REV. In our example, the ID variable is MONTH. The Monthly information is transposed into the column headers. ​The VAR statement specifies the results to be transposed. In our example, the VAR variable is Revenue. The revenue information is transposed as a result. THe TEMP data set contains the 24-hour temperature on a particular day. Transpose the Temperature into 24 different columns. Calculate the average temperature before (<12pm) and after noon (>12pm). Create any variable or data set if needed.